Czech Republic teenager Veronika Pavklikova has won the PokerStars. 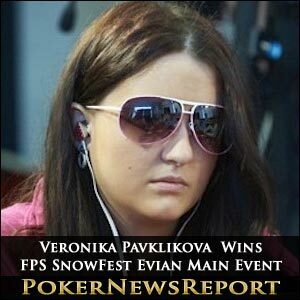 France Poker Series (FPS) SnowFest Evian main event for €70,000 after outlasting 295 other players in the €1,000+€100 buy-in tournament in the French Alps. Three days of Texas Hold’em poker at the Casino d’Evian in the Rhone-Alps saw 18-year-old Pavklikova see off all her opponents – including 2010 World Poker Tour (WPT) Bucharest main event champion Guillaume Darcourt, of France, at the eight-handed final table – to ultimately defeat Swiss pro Ludovic Marguerat in their heads-up encounter that saw the runner-up leave with €45,500. 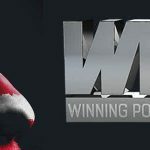 Pavklikova will now be aiming to follow in the footsteps of other female poker stars, including Norwegian Annette Obrestad – who made her mark with victory in the World Series of Poker Europe (WSOPE) £10,000 buy-in World Championship No-Limit Hold’em event in London back in September of 2007 for a huge $2,013,734 pay day – as well as Team PokerStars Pros Vanessa Selbst, Liv Boeree and Victoria Coren. 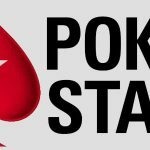 A dozen other players joined the teenager for the final day at the casino – which is situated on the French side of Lake Geneva – but it eventually came down to PokerStars qualifier Pavklikova versus Marguerat. The final hand of the tournament saw the unfancied Czech – who had overrun her Swiss opponent in head-to-head play – secure victory when her A♦ 6♦ came up against the 10♠ 7♠ of Marguerat when all the chips hit the middle of the table pre-flop. The flop of 4♥ 6♥ A♣ gave Pavklikova two pair, while the 10♥ provided some hope to Marguerat, before the K♦ ended the match-up with the Czech crowned as champion for her first major live tournament victory. French amateur player Gilles Mellet had started the third and final say as chip leader, but was overshadowed by the rise of Pavklikova as she beat the odds to emerge victorious. The rising star became unstoppable once she had eliminated favourite Darcourt in fourth place. 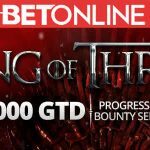 Before then, however, Frenchman Thibaud Guenegou and Belgian Team PokerStars Pro Matthias de Meulder hit the rail in 10th and ninth respectively for $4,200 each as the duo just missed out on making the official final table. French pair Gilles Mellet and Morgan Franz exited in seventh and eighth respectively for €8,500 and €6,000, seemingly leaving Darcourt destined to take the title after then knocking out Swiss player Damien Denis in sixth place for €12,000. Darcourt became chip leader when his A♠ 9♥ overcame the Q♣ Q♥ of Denis as an ace spiked on the river to give the former top pair, while home player Gregory Raffelli joined those at the rail soon after in fifth place for €16,000. But Darcourt’s charge to glory came to and end soon after in fourth place for €21,160 after being initially overtaken as chip leader by Pavlikova, whose straight had won that first hand. She then knocked him out of the event when her A♦ 9♦ made a flush on the turn to beat out Dacourt’s Q♣ J♣ – before the Czech kid charged to her debut success by eliminating Swiss Serge Didisheim for in third for €27,500 when her A-2 overcame his Q-J and then ousting Marguerat as runner-up in their one-sided clash. 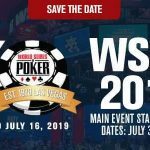 The next stop on the FPS season two arrives in Amneville for a €1,100+€100 main event that will run from May 10 to 13, before then taking in Gujan-Mestras (June 27 to July 1), the Mazagan Beach Resort in Morocco for SunFest Mazagan (October 3 to 7), Cercle Cadet in Paris (November 13 to 19), and the season FPS Finale at a venue to be decided as part of next year’s European Poker Tour (EPT).